NRA Websites: Benchmarking National Telecom Regulatory Authority Websites is a report published by Comunica is association with LIRNE.NET. The report takes a detailed look at the state of regulatory authority websites in Africa, Asia, the Caribbean, Latin America and North America and identifies benchmarking indicators for evaluating them. Information and communication are necessary to ensure that national telecom regulatory authorities can perform their responsibilities efficiently and effectively. The laws and regulations governing the sector must be known if they are to be effective. Consumers need to know their rights and the channels available for them to seek redress. If information about the sector is available in a meaningful form it be used to evaluate performance and highlight areas in need of improvement. If not, it can conceal failure and impede development. Transparent information and communication practices are an indicator of a credibile regulator and attract investment in the sector. 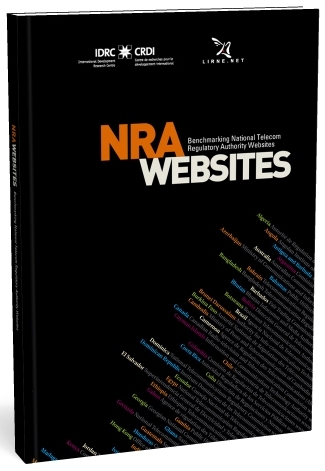 One of the key communication channels available to a national telecom regulatory association is its website and this book is the first near-global effort to establish benchmarking indicators to evaluate the websites of national regulatory agencies. It discusses in depth the state of regulatory authority websites in Africa, Asia, the Caribbean, Latin America and North America and an annex provides a one page snapshot of the websites of the websites of 93 telecom regulatory authorities.